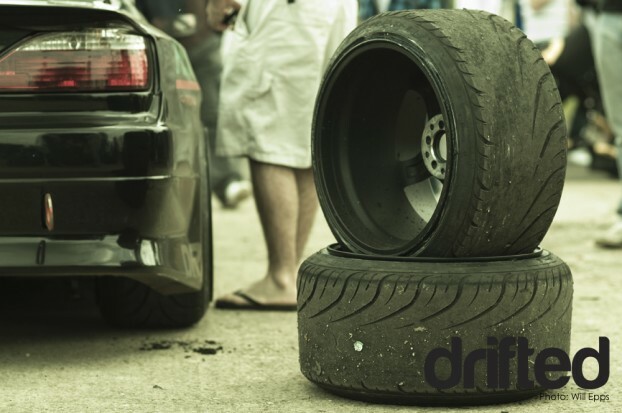 So without further ado, welcome to my first Drifted.com post!Well the day started by seizing a CV joint (damn french cars) on the way to show which caused us a bit of a hassle but that’s life in a modified car right? 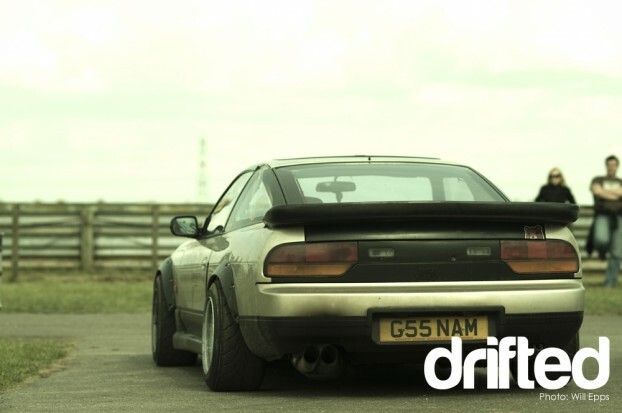 When I finally arrived, after a long crawl at 10mph, the sun was shining and the cars were already smoking, I opened my car door to be greeted by thick opaque smoke, courtesy of Phil Morrison from Driftworks in his 666bhp Nissan Silvia S15. In my (and a few others) eyes, this car really was the smoke machine of the day. So much so I struggled to get decent photo’s of the rounds he was out ’cause I couldn’t see anything from the spectator’s stands! The car’s 2JZGTE engine manages to light up Federals 595 drift rubber no problem. These tyres are just one lap old – It’s a good job Driftworks are sponsored! Dan Chapman doesn’t need to prepare cause he’s on fire, this shot was taken 2 or 3 seconds before he went off to give it a 110% run. See the concentration? The crowds were huge with plenty of them wearing hardly any clothes thanks to the amazing sunshine we had all day. 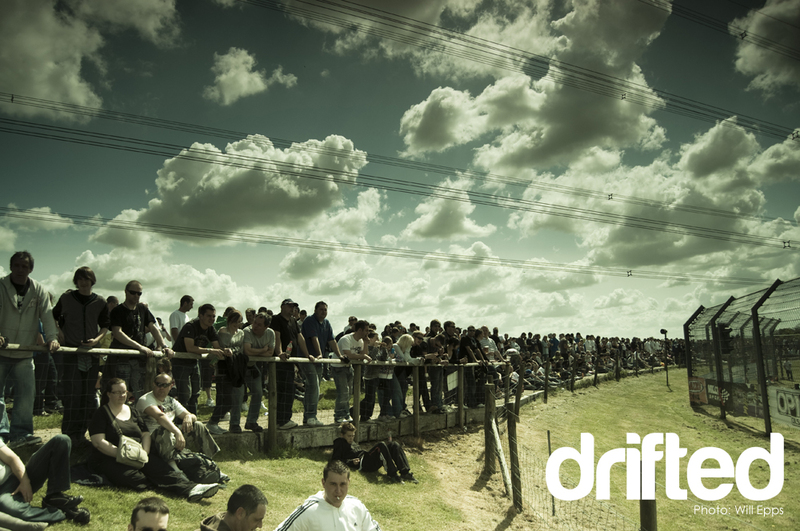 I’ve not seen a drift event as busy as this one before, goes to show drifting is getting BIG. I can’t wait to see how it’s going to advance in the near future, things can only get bigger and better! 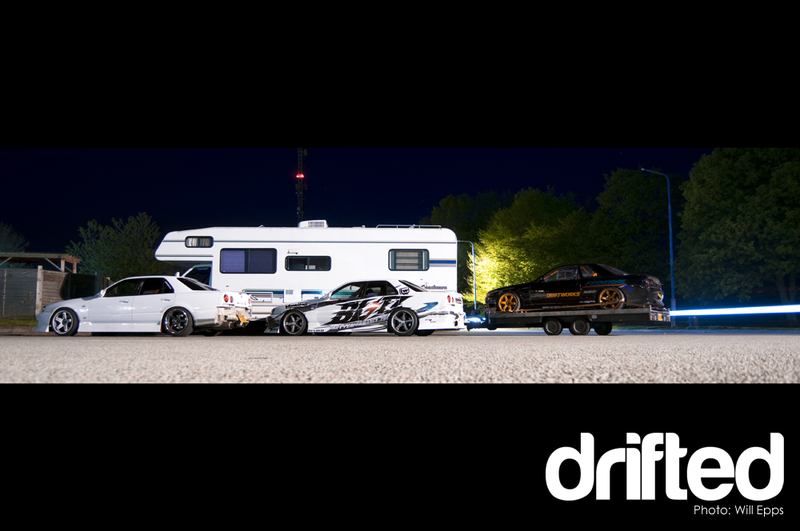 Ross and all his crew from Dragon Performance had their new secret project on show. They won’t reveal what this shell’s going to be powered by… A boosted triple rotor perhaps? I know I’d love to see that! 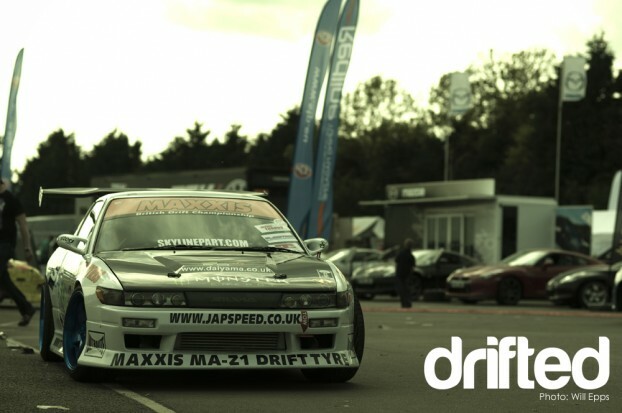 There was a huge variety of cars at the show from completely standard classic metal, to 400bhp 4wd hatchbacks. The Toyota Corolla is a little fetish of mine and this ’86 Levin really tickled my fancy. Sadly I didn’t manage to find the owner so I don’t have an awful lot to write about it! As well as big sponsor shiny cars there were some beautiful private owned cars. 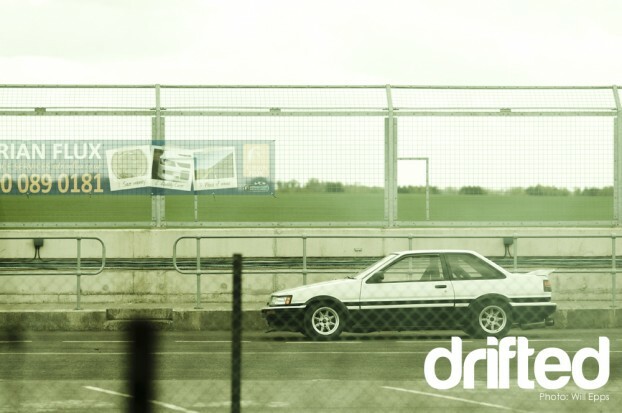 These guys show that you don’t need all the money in the world to make a car your own. This S13 200sx (sadly I couldn’t find the owner again) was absolutely stunning. 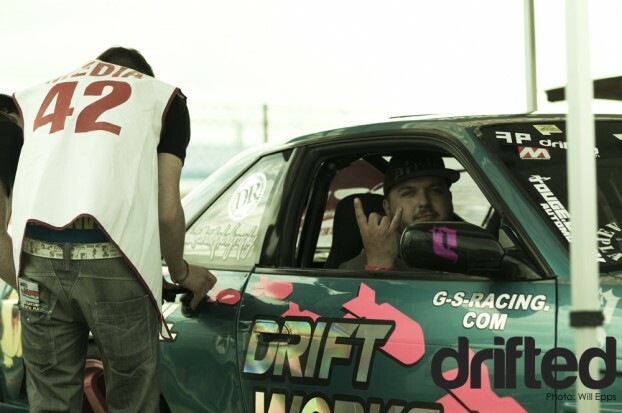 Shabby body work, parking dents and hand painted body parts added to the cars character, whilst cut slicks, no interior and a single unpadded sparco kept things in check round the corners. It was quite possibly my favourite car of the entire show, and I’d love to shoot it in detail, so if anyone knows the hero who created this monster tell them to get in touch! Just as we head in look who I spotted having a kip! Note: Park it like you show it. Well that’s it for my first post, hope you’ve all enjoyed it and hope to see plenty of feedback!